Hello friends!! 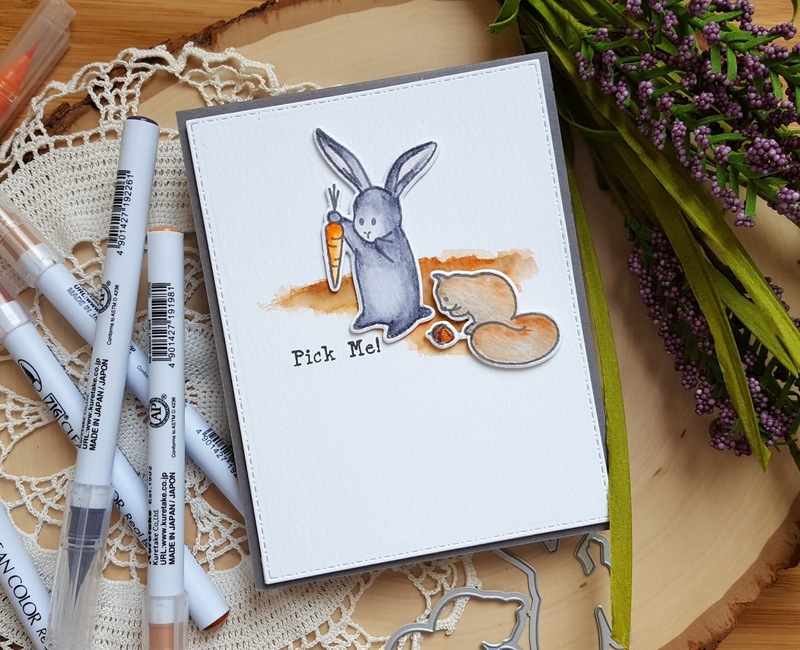 I have another bunny card to share. This time my little bunny is hanging out with a squirrel friend and they are trying to decide if they have both picked the right snack! Hello!! 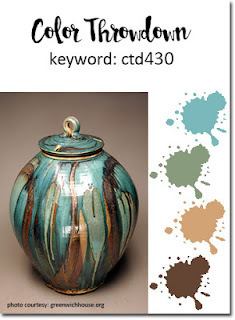 Hopping along today with the PTI February blog hop. 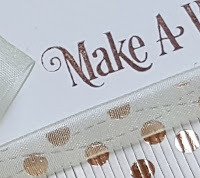 Initially I didn't think I would play along as I really struggled with the inspiration photo, but the gold embossed laurel wreath in the photo just kept saying "use Lovely Laurels mini make it market kit" to me so here I am, lol!! This card is pretty simple looking but boy oh boy did it give me a lot of trouble!! 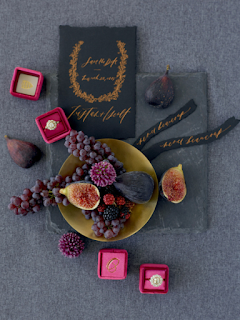 I started by stamping the wreath in watermark ink and them embossing with gold embossing powder. Then the image was die cut with the matching die. 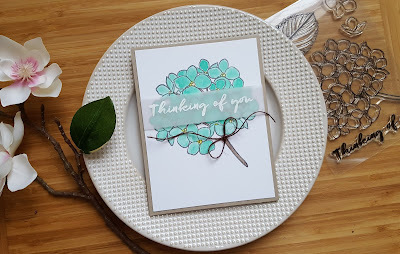 Then I stamped the sentiments with watermark ink and embossed with clear embossing powder for that tone on tone look. Because I am a crazy perfectionist I actually die cut the bow then stamped the image on some cardstock that is similar to PTI's Autumn Rose with watermark ink and clear embossed it. That was a bit of a trick because the bow is so tiny and my heat tool kept blowing it around! 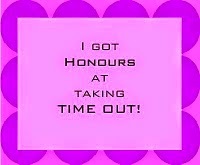 Anyway... got it done!! I die cut the panel down and then adhered the bow and some clear rhinestones. I didn't want to use a white cardstock base as the contrast is too stark to me, but honestly I was kinda over making the card (just being real, lol!!) and just wanted to finish the card and get it posted. Also going to add this to the current Simon Says Stamp Wednesday challenge of anything goes. Hello!! 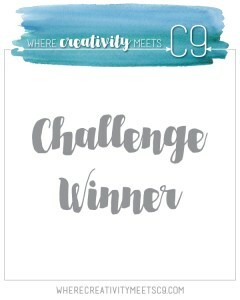 Stopping in with a bright little card for several challenges. I was really intrigued by the whimsical inspiration photo at Time Out and the image that really jumped out at me was the hot air balloon. But I thought I didn't have a similar image so I was going to use some images from the February My Monthly Hero card kit. Then I remembered the fun Hero Arts stamp set called Happy Birthday. 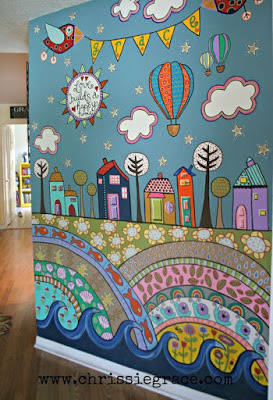 The set was made for Operation Write Home and includes the hot air balloon image. I stamped that image on watercolor paper and then colored it with the ZIG markers you see in the photo. Once the image was dry I trimmed it out. 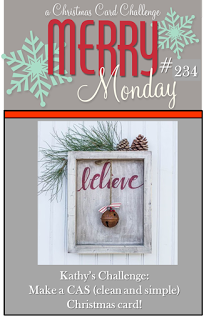 I did end up using things from the My Monthly Hero kit to create the background and for the sentiment. I used Salty Ocean distress ink and some positive image clouds to create the sky. Once the sky was finished I trimmed down the panel to correspond with the Freshly Made Sketches layout. The hot air balloon was adhered along with another cloud image that is in the Happy Birthday stamp set. I colored that with a light grey ZIG and added some of the same color (watered down) to the other clouds. 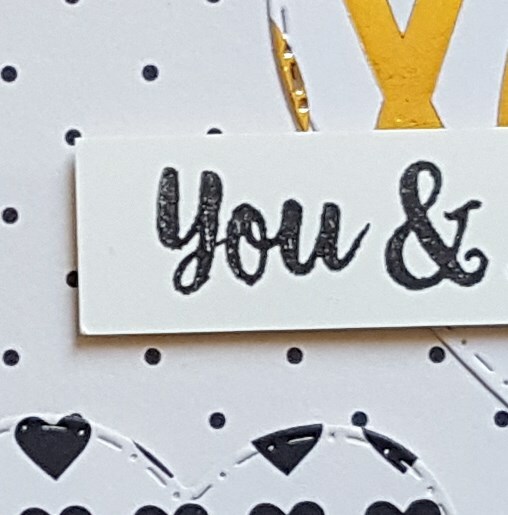 Made a little mistake in that I adhered the panel to my card base before I stamped the sentiment, but I was able to fit it with my Memento Tuxedo Black ink pen. I'm also going to add this to the Simon Says Stamp Wednesday challenge of anything goes. Hello!!! Hope your week is going well. 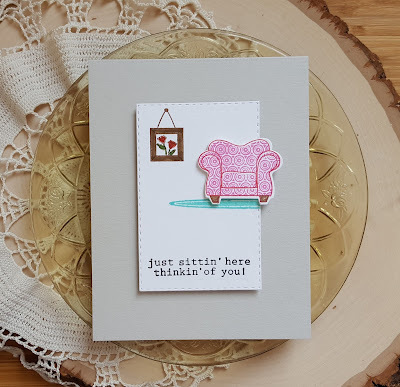 Have a card to share for the current Essentials by Ellen Pin-Sights challenge. I'm also going to add this to the current Simon Says Stamp Wednesday challenge of anything goes. I used the beautiful EE Mondo Hydrangea stamp set. Absolutely love that set!! Trying to find an aqua that was close to the aqua in the inspiration board was a bit of a challenge, but finally hit on a pretty similar color in my set of Kuretake Gansai Tambi watercolors. The flower was stamped with VersaFine Smoky Gray and then colored with the aqua. Yellow was added to the center of the flowers and the stem was colored with a dark brown. I trimmed down the panel once it was try and adhered it to a kraft cardstock card base. 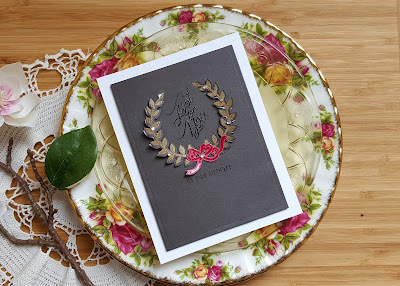 The sentiment was stamped on vellum with VersaMark and embossed with white embossing powder. I trimmed down the vellum and then adhered the strip by rolling up glue dots and placing them behind the lettering to hide them. A bit of dark brown twine was tied in a bow and adhered to finish things off. I love the way the vellum allows the flowers to peek through. Embossing on vellum is tricky, but I have found that using a nice thick vellum like PTI's vellum makes it a lot easier! Hello!! Popping in with a couple of cards to share. 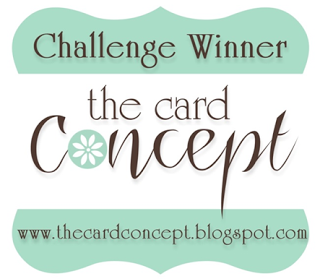 The first card is for the MFT Sketch challenge and Color Throwdown. 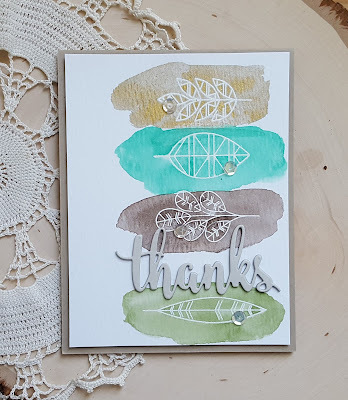 When I saw the sketch it made me think of my MFT Geometric Greenery stamp set. To get all my leaves lined up nicely I used my mini MISTI. I placed a piece of watercolor paper in the MISTI and then lined up the stamps on the paper. I inked all the images up with VersaMark watermark ink, stamped and then heat embossed with white embossing powder. I used my Kuretake Gansai Tambi watercolors to color each image with the colors from Color Throwdown. The thanks is from the MFT Thanks & Hello die set. I die cut it three from a light gray cardstock and adhered them together. Once the panel was dry I trimmed it down and then adhered the die cut. I added a few clear sequins to finish off the card. 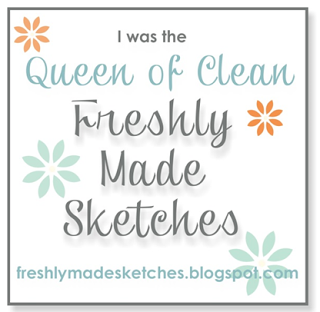 The second card is for the following: Freshly Made Sketches and Where Creativity Meets C9. 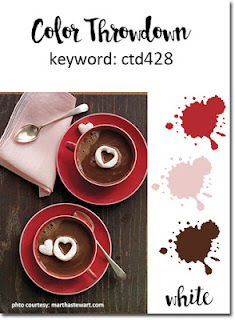 The theme this month at Where Creativity Meets C9 is love. 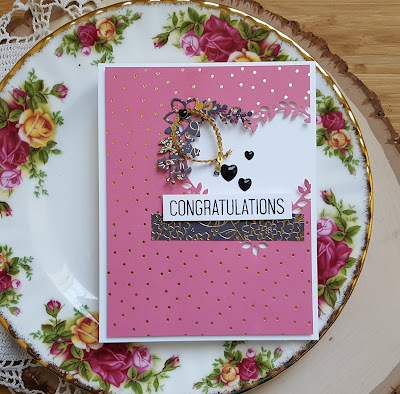 I love the pretty heart wreath die from the Layers of Love die set and I wanted to use it for my card. The papers I used are from the My Mind's Eye On Trend 2 6x6 pad. 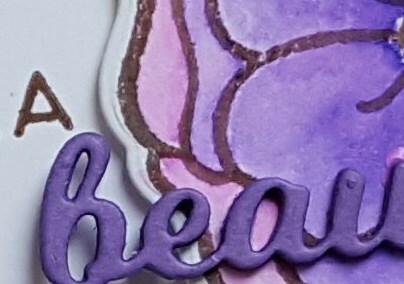 I cut down a piece to fit a card front and then die cut it with the wreath die. I die cut the little floral piece from some gold embossed paper from the pad and adhered it along with some C9 gold sequin trim to the heart. The sentiment is from the C9 Layer of Love stamp set. Stamped the sentiment on a strip of white cardstock and then adhered on along with a strip of the gold embossed paper. I adhered the panel to a white cardstock base using foam adhesive. 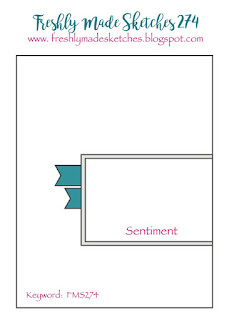 Added a few little enamel hearts to finish the card that I think will be perfect for a wedding. Hello!! Popping in with another card for the PTI past, present and future challenges that have been going on all this week. 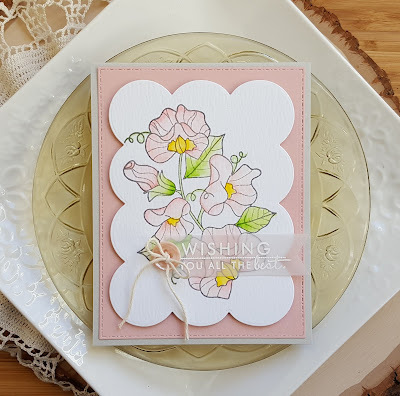 This card uses one of the stamp sets that was featured for 2010... Year of Flowers: Sweet Peas. I fell in love with YoF: Sweet Peas the minute I saw it and I still love it today!! 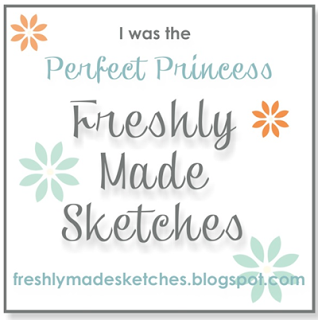 I stamped the image on watercolor paper using VersaFine Smoky Gray ink. I used my mini MISTI so I could get a good impression. I then colored it with my trusty ZIG clean color markers. I used to shades of light pink and a yellow for the flowers and then two shades of a green for the leaves. 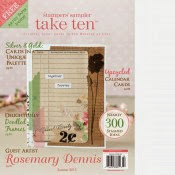 Once the image had dried I die cut it with the large scalloped die from the Nostalgic Notions Make it Market kit. The sentiment also from YoF: Sweet Peas was stamped on PTI's vellum using VersaMark and then embossed with white embossing powder. 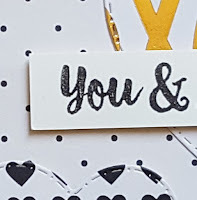 I die cut the sentiment with a fishtail banner die and then adhered it to the image along with a PTI Sweet Blush button and twine embellishment. Layered the piece on a die cut piece of pink cardstock and then adhered to a light gray cardstock base. 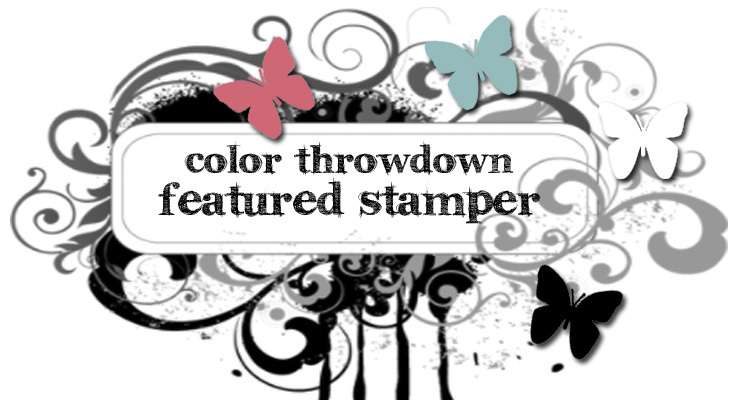 I'm going to add this to the current Simon Says Stamp Wednesday challenge to use flowers. 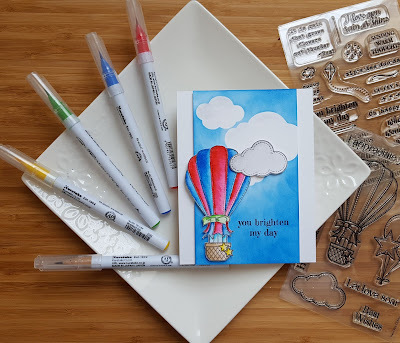 Hope you have a wonderful day and that you will take the time to head over to the AJVD blog for a look and to let me know what you think. Hello!! As many of you know PTI is now 10 years old!! I can't believe it! 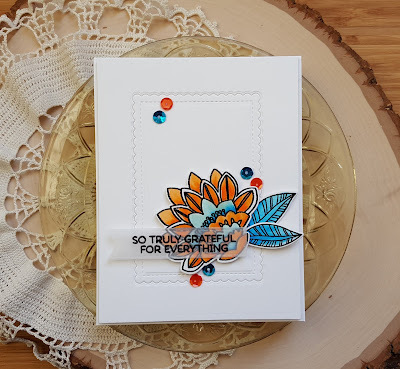 Seems just like yesterday when I discovered PTI and really fell in love with stamping! Right now they are in the midst of a fun series of challenges celebrating the past, the present and the future. 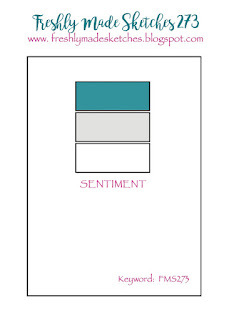 Today I'm sharing three cards that I made for the first three years (2007, 2008 and 2009). First up is a card made with one of the sets they featured from 2007... Green Thumb. Love the hollyhocks image from the set and teamed it up with the little pot that also comes in the set. I colored the images with Ranger distress markers, stamped them on watercolor paper and then blended out the color. The grass was just created by scribbling on some Mown Lawn distress marker and then blending it out. I also added some light blue for the sky. Once the panel was dry I stamped the sentiment in VersaFine Onyx Black ink. 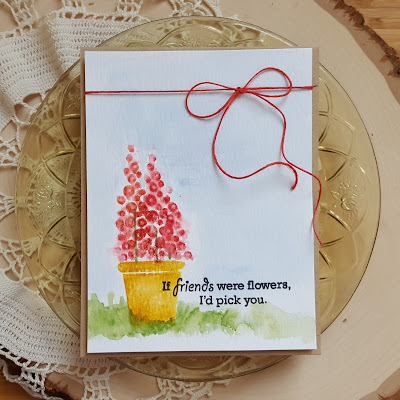 A little red bow was tied with some twine to finish off the card. 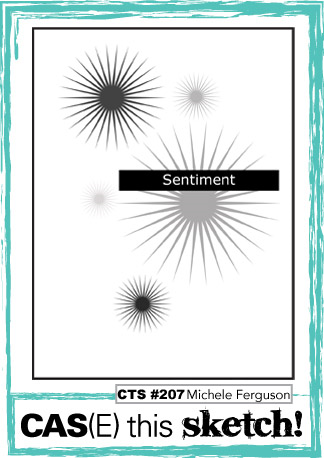 Next up is a card I made using one of the stamp sets from 2008... Floral Frenzy. 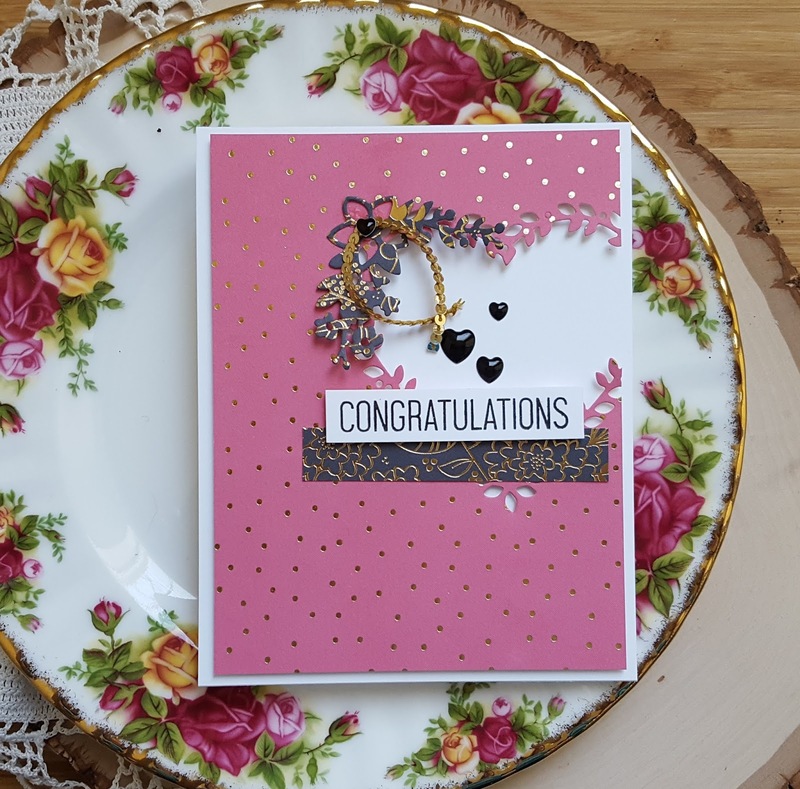 This card was inspired by Michelle's card that uses the same stamp set. 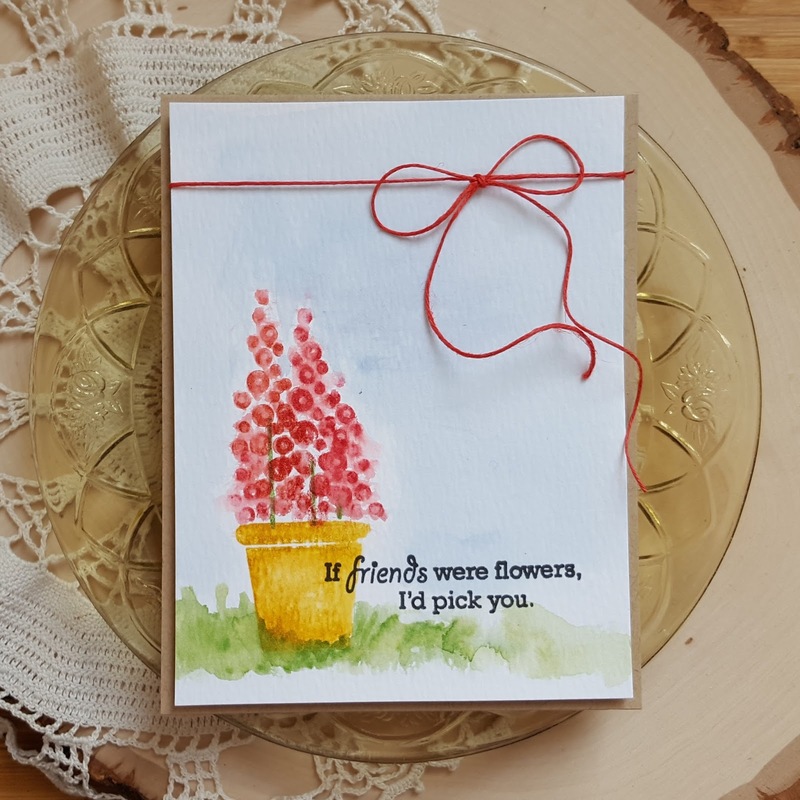 I stamped the flowers using a medium pink and a light purple ink. The centers were stamped in yellow except for the final one that was stamped using Onyx Black ink. The panel was then die cut with a PTI Double Ups die. A tiny clear sequin was added to each flower and then the panel mounted on a bright green cardstock base. The final card uses one of the featured sets from 2009... On My Couch. 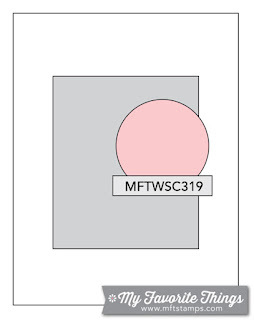 The chair was die cut and then stamped with the chair outline image in red and the pattern using pink ink. The legs were added using a brown ink. 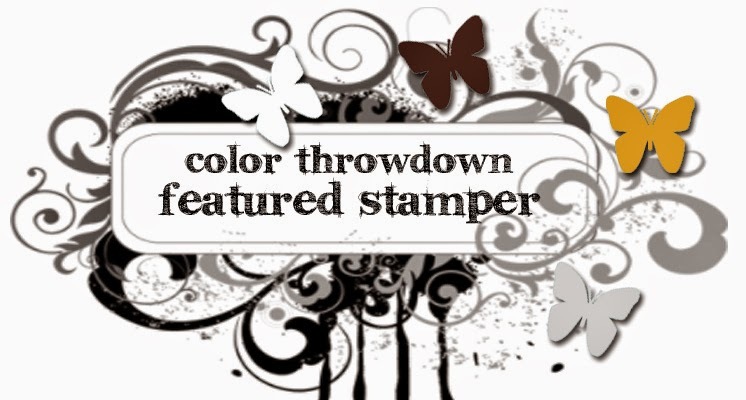 I stamped the picture in brown and then colored it with distress markers. I added the rug using a teal color ink. The rug image is from On My Couch Additions as is the sentiment. The panel was die cut using another one of the Inside Out dies. 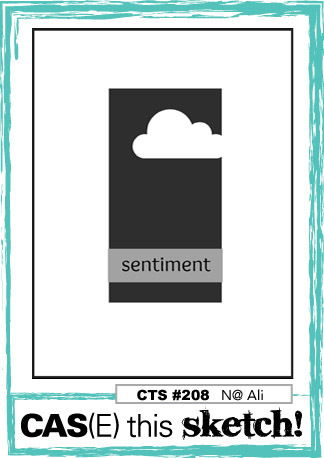 The layout follows the current CTS layout so I will add my card to that gallery. Hello!!! We have had some crazy weather here in my neck of the woods. Snow started falling on Sunday afternoon, but by Wednesday it turned to seriously heavy rain fall! Then last night (Thursday) along with the heavy rain we started to get really strong winds. The wind was so strong today that it knocked over a tree that we have growing in a big pot on our deck! Thank goodness my older son was able to help me get the tree upright!! Truly grateful that he was around to help and that it appears we are headed for a bit tamer weather this weekend!! 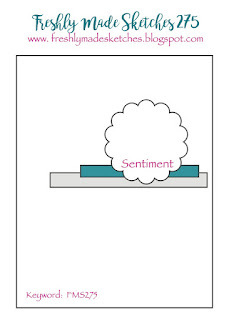 Anyway... during all of that today I made a card!! 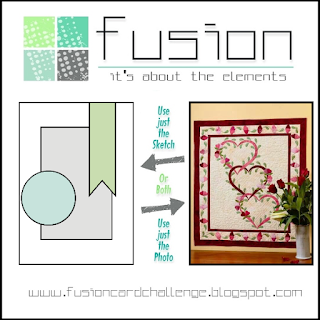 I used the current MFT sketch challenge layout and the colors from the current Color Throwdown challenge. I stamped the flower and leaves from the MFT Fancy Flowers set using watermark ink on watercolor paper and then embossed with black embossing powder. The flower was then colored with orange and aqua ZIG markers. The leaves were colored with the aqua ZIG. Once they were dry I die cut them with the matching dies. A white panel of cardstock was die cut and then I embossed the MFT Stitched Mini Scallop rectangle on to the panel. The flower and leaves were layered on. 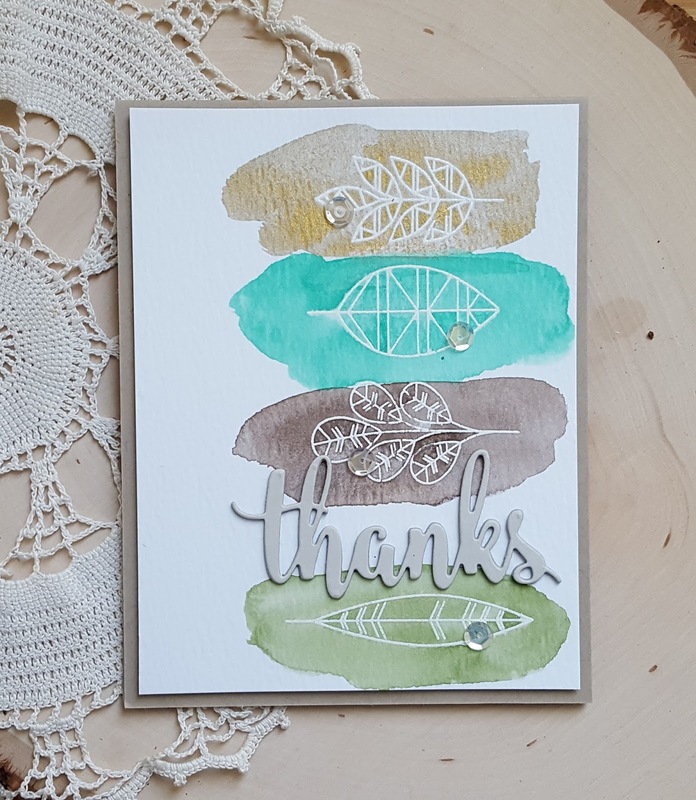 I stamped the sentiment (from the MFT Geometric Greenery set) with watermark ink on vellum and embossed with the black embossing powder. 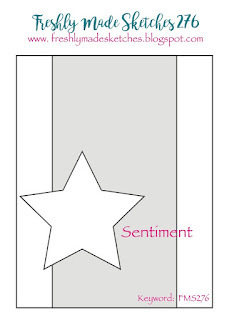 The sentiment was then die cut with a Stitched Fishtail Flag Stax die and adhered. A few sequins in aqua and orange were added to finish off the card. Hello!! 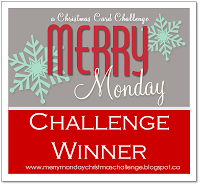 Stopping in with a Christmas card for the current Merry Monday Christmas challenge to create a clean and simple card. I paired the MM challenge with the current Freshly Made Sketches layout to create my card. The other day I decided to play around with watercoloring with the one package of Distress Crayons that I own and decided to use an older Hero Arts Holly cling stamp. I don't recall the name of the stamp because I threw the packaging away so if someone out there does... please let me know. I haven't played along with Merry Monday since early December because I needed a break from Christmas cards, but when my sweet bloggy friend, Linda, gave me a lovely shout out on her blog I just had to play along! Please make sure you head to Linda's blog to check out her amazing CAS Christmas card!! I stamped the holly on some watercolor paper with VersaFine Onyx Black ink and then colored it up with Peeled Paint and Festive Berries distress crayons. When the panel was dry I die cut it down with an AJVD Stitched Dot rectangle die, added some additional Peel Paint crayon and then applied Nuvo Glitter Drops White Blizzard to the berries. Because the panel is rather small I needed a small sentiment and found that in the PTI stamp set Merry Little Christmas. To add a little something to the light gray card base I stamped it with the holly image twice using a light gray ink. the panel was matted with red cardstock and adhered using foam dots. 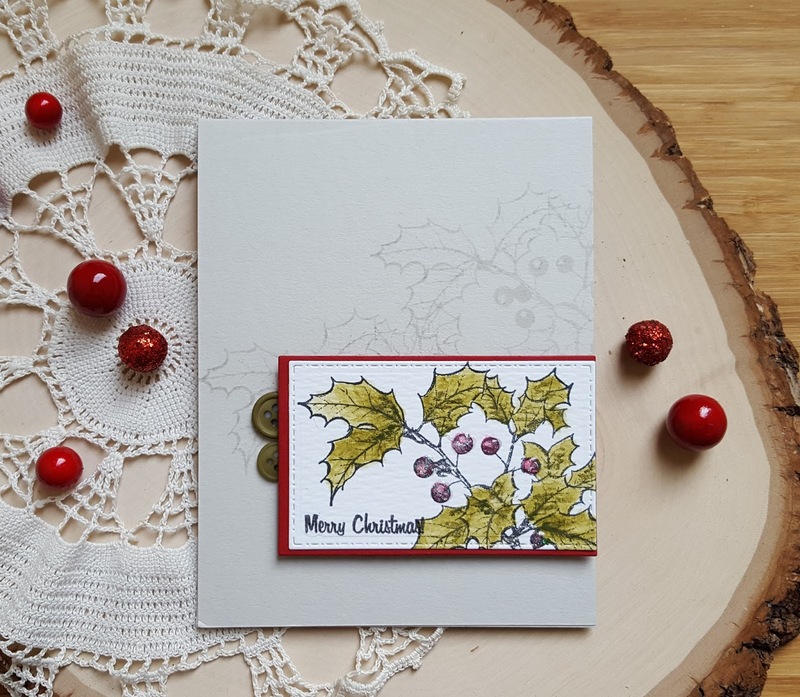 To little buttons in a shade similar to the holly leaves finished off the card. Hope you have a wonderful day! 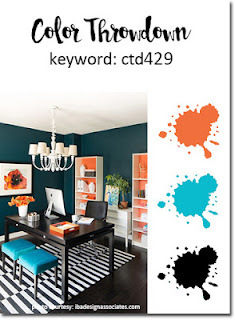 Would love if you will take the time to head over to the AJVD blog for a look and to let me know what you think! Hello!! Popping in with a little card that I put together earlier for a couple of challenges: Freshly Make Sketches and Less is More. 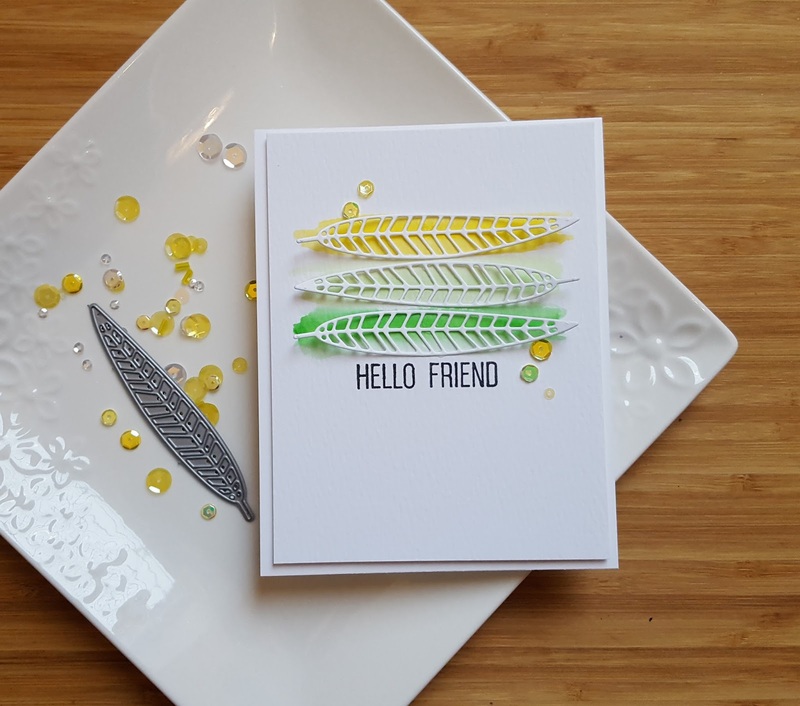 When I saw Karren's fabulous sketch this week I immediately thought of my Concord & 9th Layering Leaves die set. I was going to use the feather/leaf image from the C9 Give Thanks stamp set, but decided instead to do some simple watercoloring with my ZIGs and a waterbrush. 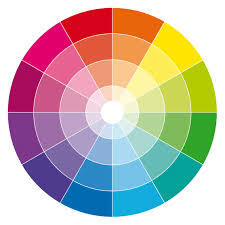 I'm also going to enter this in the current Less is More challenge to use three adjacent colors on the color wheel. I used yellow, light green and medium green. The light green is hard to see, but it is there!! Less is More is celebrating their 6th birthday!! So amazing!!! Congrats on six fantastic years of challenge and to many more to come!! 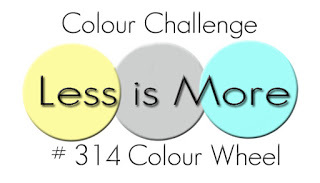 There was a time when I didn't miss a Less is More challenge, but life changes and now I only play occasionally, but it is still one of my favorite challenges!! The panel was trimmed down and the sentiment (from the C9 Layers of Love stamp set) was stamped using black ink. I die cut the leaf three times from white cardstock. The leaves were adhered to the watercolored panel using Multi Matte Medium. I adhered the panel to a white cardstock base and then added some sequins to a little finishing touch. Hello!! Stopping in this rainy day in the Pacific Northwest with some Valentines that I made over the last few days. I generally don't make a ton of Valentines, but for some reason this year I'm really having a lot of fun making them! 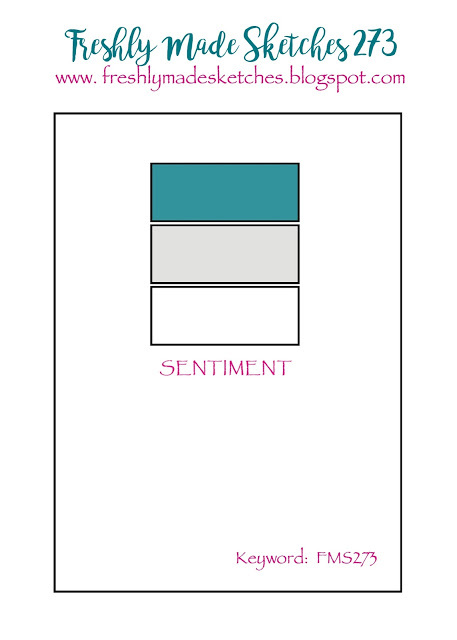 First up are a set of cards that I made using the colors from the current Color Throwdown. 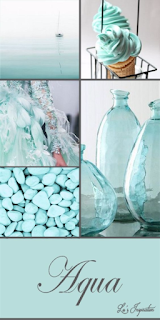 I will also be adding them to the current SSS Wednesday challenge of the color of love. 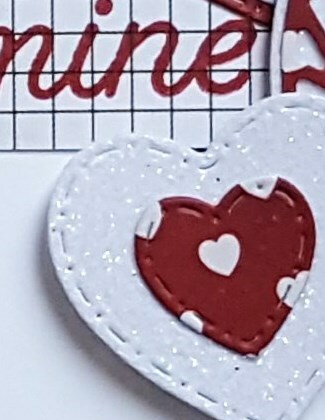 I decided to use a Reverse Confetti die that I bought last year around Valentine's day, but never got around to using. I die cut one from pink cardstock and one from red cardstock and then swap the colors out as you see. 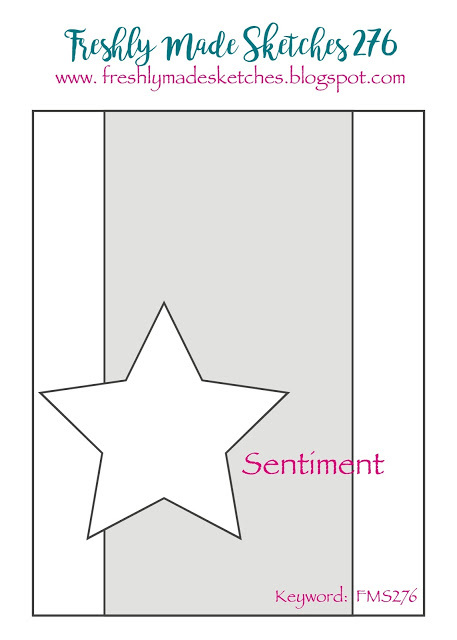 The sentiment is from the Reverse Confetti set Forever Fall. The you is actually part of a sentiment that says thank you. I simply masked off the thank, inked up the you with black ink, removed the mask and stamped. Super simple. Each panel was then matted with brown cardstock die cut with another Reverse Confetti die. I die cut some white glitter paper using an AJVD die for the larger panels and then adhered everything to white cardstock bases. 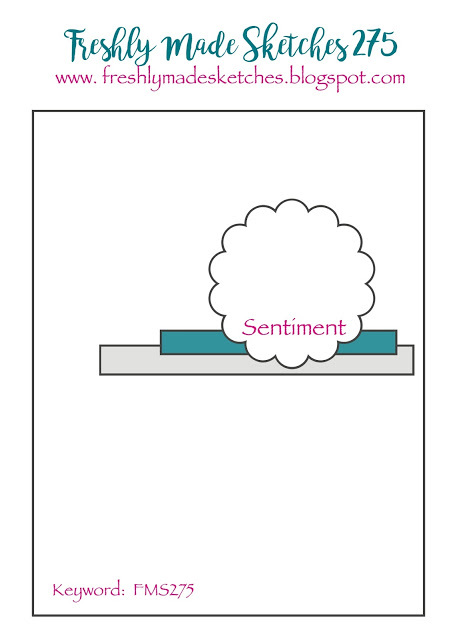 Next up is a card that I made for the current MFT sketch challenge. I started with a panel of woodgrain cardstock that was trimmed down on one side and then blended on some dark red ink. 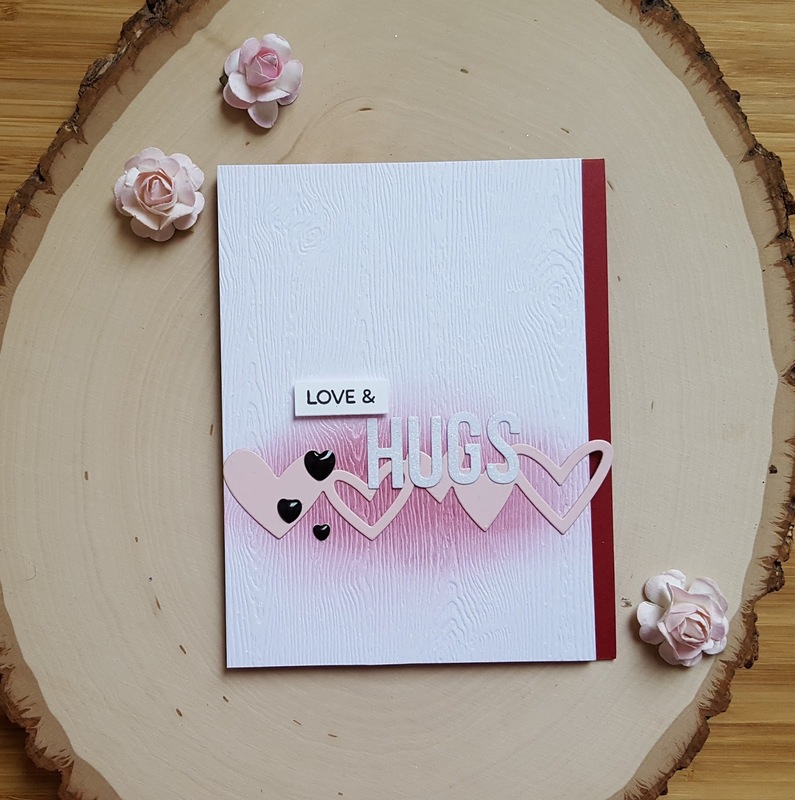 The MFT heart border was die cut from light pink cardstock and adhered to the woodgrain panel. The HUG (from the Word for Friends die set from the Fancy Flowers card kit) was die cut from white glitter cardstock and then adhered over the top of the heart border. 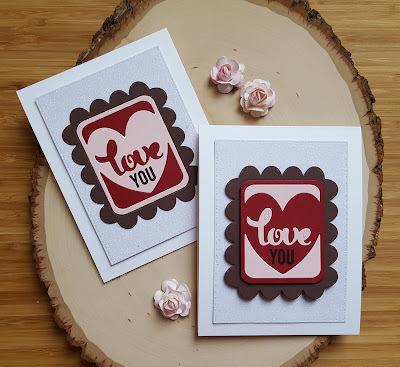 I stamped the Love & from the MFT stamp set Geometric Greenery in black ink, trimmed it out and then adhered to the card using foam dimensionals. I finished the panel off with some black enamel hearts and then adhered the panel to a dark red cardstock base. 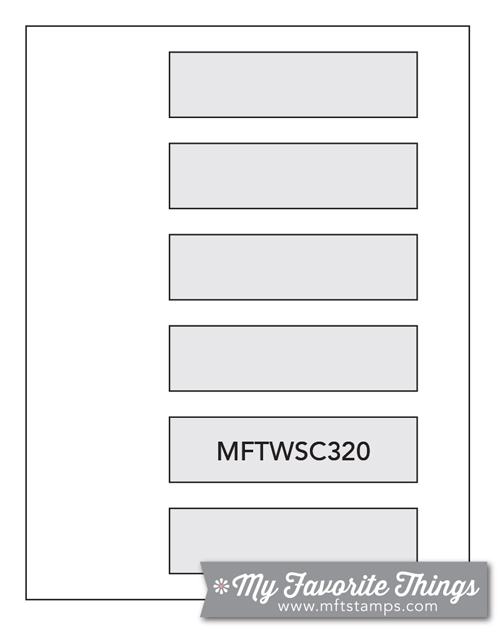 I'm going to add this to the current SSS Wednesday challenge, as well. I'm going to add this one to the current Fusion challenge of interlocking hearts. I went with the inspiration photo and hearts theme. guesting at CAS(E) this sketch!!! Hello friends!!! 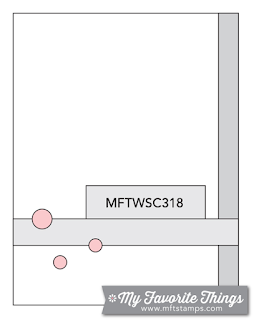 Popping in with some exciting news! I'm guesting today over at CAS(E) this Sketch!! The sketch is a super fun one with so many different directions you can go in. 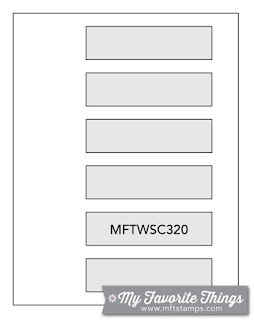 I must have changed my mind about five times before settling on the images that I used. 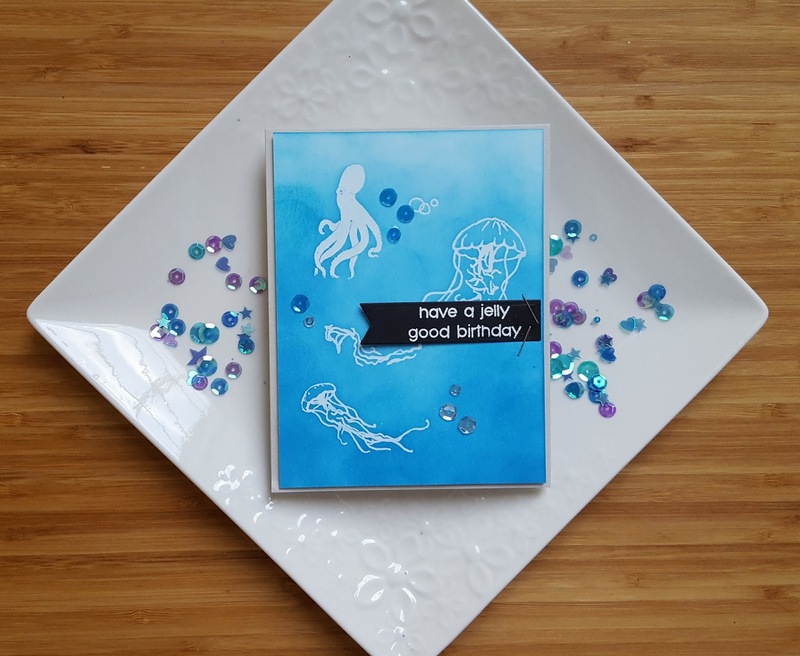 The jellyfish and octopus images from the My Monthly Hero July 2016 card kit are perfect for masculine cards and that is one of the reasons I purchased the kit. I started by stamping all of my images on a white panel with VersaMark watermark ink, applying white embossing powder and heat setting. Once that was done I inked up the entire panel with Salty Ocean and Mermaid Lagoon distress inks. The sentiment was stamped on black cardstock with VersaMark, white embossing powder applied, heat set and then die cut with a fishtail banner die. I then stapled the sentiment to my panel, added some sequins and adhered the panel to a light gray card base. Here is the sketch... hope you will take the time to play along this week!! Wishing you a wonderful day... would love it if you headed over to the AJVD blog for a look and to let me know what you think.